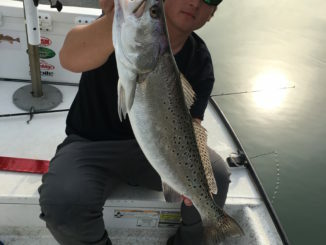 Team Hooked Soul’s Capt. 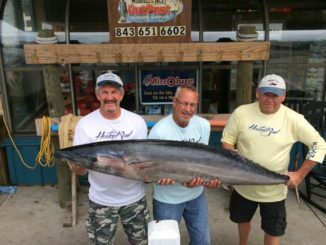 Danny Carey was trolling on March 29 as part of the 2017 S.C. Wahoo Series when he hooked a big one. 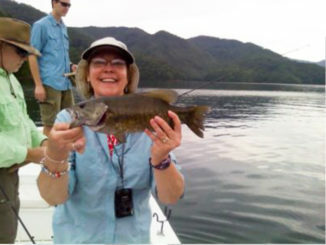 Big enough, in fact, to take the lead in the tournament, which lasts through April 16. 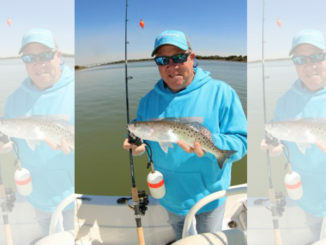 The trout bite is on in the Wilmington area, especially for Matt Gentry of Tex’s Tackle, who has been catching his share of specks around Wrightsville Beach. 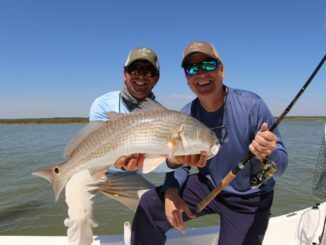 And these aren’t just run-of-the-mill trout. 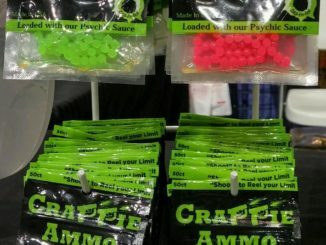 After one bait was put on the market in late January, people who go after crappie won’t be fishing for the tasty panfish so much as hunting for them with Crappie Ammo. 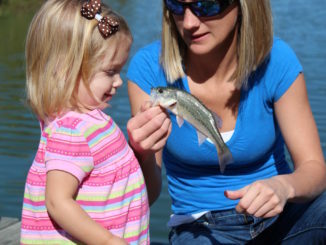 The South Carolina Department of Natural Resources’ Bonneau Ferry Wildlife Management Area (WMA), located near Cordesville in Berkeley County, opened for another season of fishing on March 1, 2017. 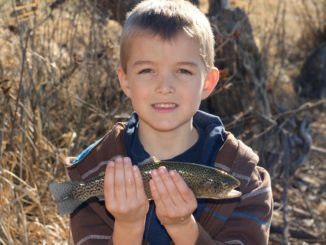 This adult/youth only fishing area provides a great family opportunity to enjoy good fishing in a less crowded natural setting. 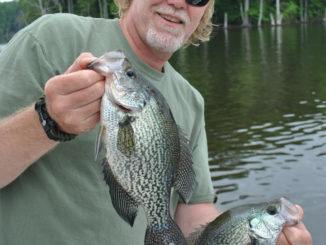 Crappie fishing in April is usually a spawning deal, but according to Chris Bullock of Kerr Lake Crappie and Cats Guide Service, 2017 isn’t shaping up as the usual deal. 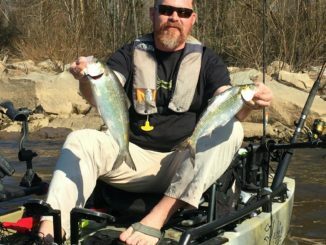 The Cape Fear River has a variety of fishing opportunities, and one of the spring highlights is shad, striper and catfish action in the tailwaters of Lock and Dam No. 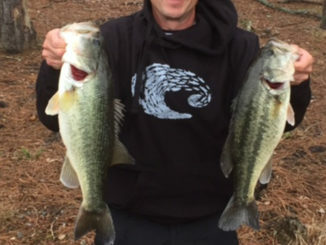 1 about 20 miles upriver from Wilmington, N.C.
Andy Fox of Fishers of Men Guide Service changes tactics during April as largemouth bass transition from staging areas to their spawning grounds on North Carolina’s Lake Hickory. 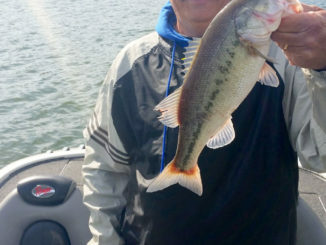 In either phase, Fox (828-312-8711) said plenty of bass from 4 to 7 pounds will be caught this month.